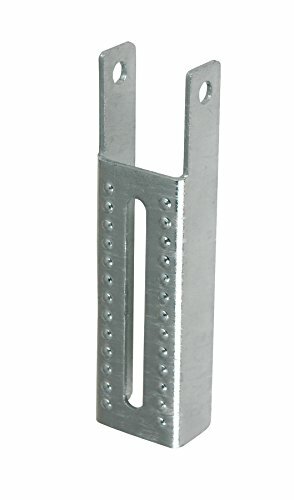 CE Smith 10000G swivel bolster bracket, 8 inch. This Smith adjustable bracket is designed to support roller bunks. Hot dip galvanizing for years of use in the harsh marine environment. This bracket assembly uses bolster bracket-10100g and swivel bracket-10200g. CE Smith 10603G40 bunk bracket, 7-1/2 inch. Adjustable bunk bracket. Used when mounting bunks on edge. Ideal for small Craft trailers. A single bracket will allow the bunk board to pivot with the hull as the boat is loaded. Use two brackets on separate cross members to hold the board in place. CE Smith 10205GA swivel bracket, pair. Galvanized swivel top brackets provide vertical and tilting adjustment for trailer bunks. 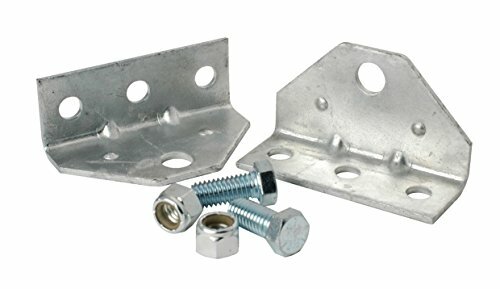 Swivel brackets for mounting bunk boards to bolster brackets. Sold as kit with (2) brackets, (2) 7/16" x 1" head cap screws, and (2) 7/16" nylon lock nuts. 10 gauge material. 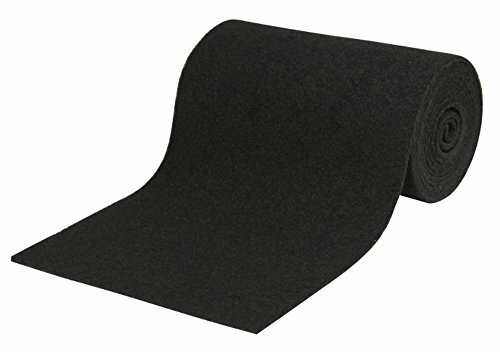 Marine Grade carpeting allows the do-it-yourselfer to replace worn and dirty carpet on bunk trailers. The carpet protects your boat investment by reducing scratching on the hull and keeps it in like-new condition. Individual rolls are shrink-wrapped. Limited 5 Year Warranty. CE Smith Trailer, 27600, 5' Bunk Board Guide-On. Carpeted bunk boards provide proper center loading even in wind or side current conditions. Adjustable boat guides can be fine-tuned to work with your boat and your trailer. 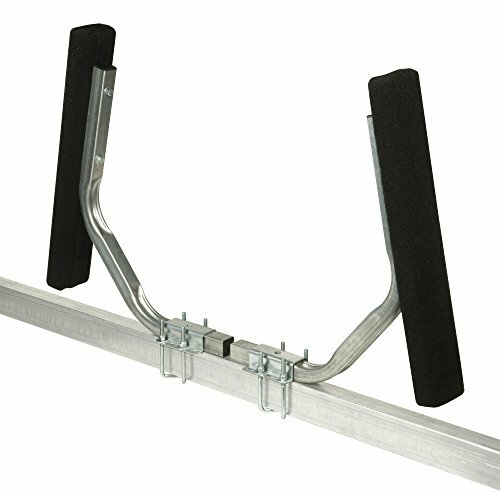 The pre-galvanized steel support posts mount horizontally on top of or below your trailer's frame rail. Just slide the posts into the boat guide supports and secure the posts so that the distance between the bunks correctly matches the width of your boat. The bunk boards then tilt to conform to the boat's hull. Guides will help to center your boat during loading and to hold the boat during transport. For larger trailer frames check out our Large Frame U-Bolt Kit (11416). Pre-galvanized steel parts are stamped from a sheet of steel after it has already been galvanized. The edges of the pre-galvanized parts often lose their zinc coating during the stamping process. Because of the thinness of the coating less than 1 mil and the fact that the edges remain exposed, pre-galvanized parts can begin to oxidize and rust quickly, so its recommended that they be primed and painted. This stuff is great! Makes loading and unloading your boat easy. Simply spray this stuff on your bunk boards and they will be as slick as rollers. Long lasting, nongreasy, nonstaining formula. 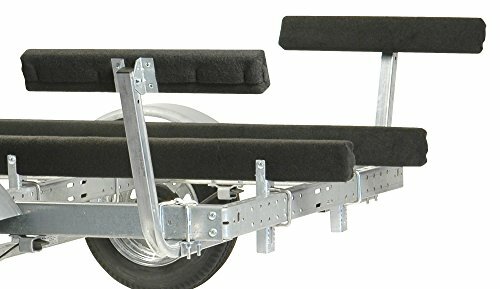 CE Smith Trailer, 11330, Roll Carpet, Black- 11" x 12'. Carpet is 11" wide and covers a 2x4 or a 2x6 board. Marine grade carpet is weather resistant and is 100% PET polyester. This high quality carpet has a durable backing. It has minimal water retention. Square yard weight is 16.1 ounce. Pile height is 5/32". This product is covered by Shaw Floor's limited 3 year warranty. CE Smith Trailer, 27671, Pontoon Bunk Board Guide-On. 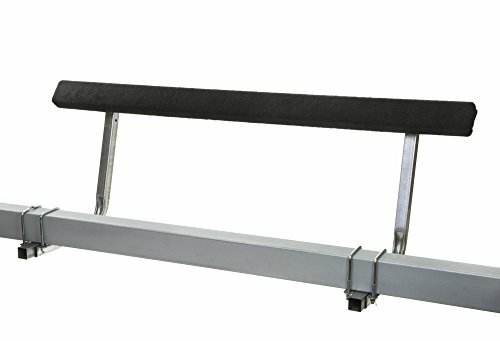 Ideal for bunk style pontoon boat trailer with box, channel, or l-beam frames up to 3" wide x 4-1/4" tall. Minimum friction rolling action easily guide pontoon boat onto trailer. Height is 25" above trailer frame. Mount with roller bunks 2-3" from pontoons on a trailer from cross member. Looking for more Bunk Trailer Parts similar ideas? Try to explore these searches: Steel 10.25' Frying Pan, Anthems Music, and Belted Silk Shorts.